By the time rock music arrived around the mid '60s, a new generation of mobile studios appeared that would capture some of the most important recordings of the era. And curiously, most of them were not recordings of live gigs. That was because the mobile studio soon became used as much for the freedom it offered artists to record in domestic locations as for capturing their stage performances. Digital technology has helped bring about the demise of the mobile truck since the turn of the millennium. Now, artists can of course record on devices as small as an iPad (to name but one famous example, Damon Albarn recorded the Gorillaz album The Fall in just that way). Even if you don't want to be quite as stripped-down as Albarn, a laptop armed with plugins and a small digital mixer can offer almost as much as a fully fledged mobile studio at far less cost. 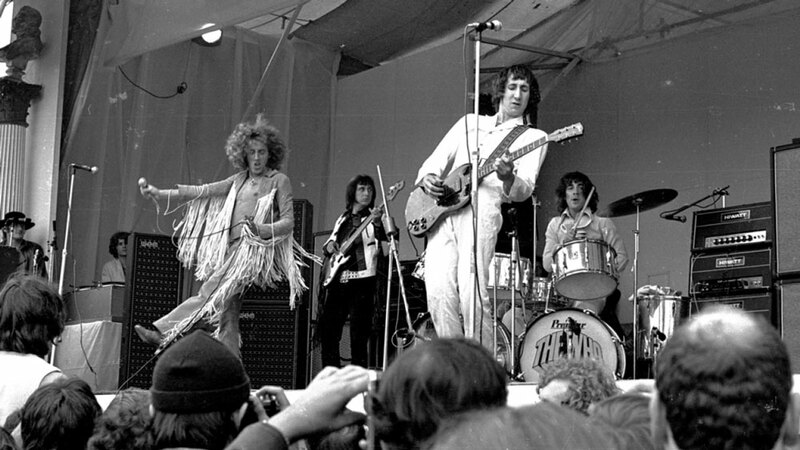 The Who, live at Leeds. Originally released as a single six-track vinyl LP, Live At Leeds has since appeared in many incarnations, some with and some without the infamous crackles. The Hull gig recorded the night before (February 13) has been released, too, with John Entwistle's missing bass parts replaced with carefully synced recordings from Leeds. There are those who claim that Live At Hull 1970 is even better than the raw and powerful Live At Leeds. They can both be heard on the 40th Anniversary collectors' edition. Robert Plant tracking outside the Rolling Stones Mobile. You could toss a coin over whether Led Zeppelin's III or IV was the more significant album, but it doesn't really matter for our purposes—both made very extensive use of the Rolling Stones Mobile (RSM) and were released before two other other landmark RSM recordings, the Stones' Exile On Main St. and Deep Purple's Machine Head. A former 18th-century poorhouse, Headley Grange in Hampshire was the chosen venue, as it had been for much of Zeppelin III. 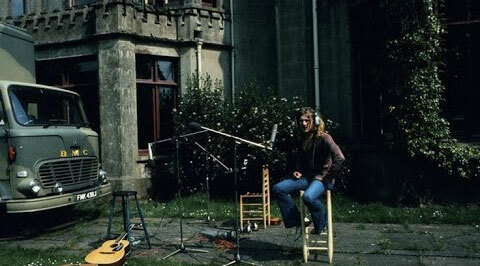 The majestic sound of John Bonham's drums—sampled a thousand times and still used today—was created in wood-paneled Headley Grange with a pair of distant Neumann condenser mics. It has probably never been equalled. Just as The Who's Live At Leeds is regarded by some as their finest hour, so the Stones' Exile On Main St. stands as a testament to the band at its peak—even if a wobbly one at times. In 1970, Mick Jagger bought Stargroves, a country house in Hampshire. The band's pianist and tour manager, Ian Stewart, suggested that in order to make full use of it, they needed their own mobile studio. This saw the birth of the most famous truck of them all, the Rolling Stones Mobile. It is one of the few things you can use the word legendary about without risk of exaggeration. The sessions that followed have become the stuff of rock legend and lore. Beside the technical problems imposed by an unsuitable recording environment—a cramped, damp basement—and compounded by an erratic power supply, the band's "personal issues" should have made the resulting album a shambles. Indeed, engineer Andy Johns described them as "the worst band in the world" for much of the time. But somehow, in true Stones fashion, what emerged from the chaos was one of rock's most memorable and charismatic albums. It just reeks of authenticity thanks, at least in part, to the location and the way in which most of it was recorded. If Exile On Main St. really put the Stones Mobile on the map, it was Deep Purple who immortalized it in "Smoke On The Water." The song recalls the night in 1971 when the Casino in Montreux, Switzerland burned down following a gig by Frank Zappa and The Mothers Of Invention. The plan had been to record the next Deep Purple album in the Casino, but the fire put paid to that. 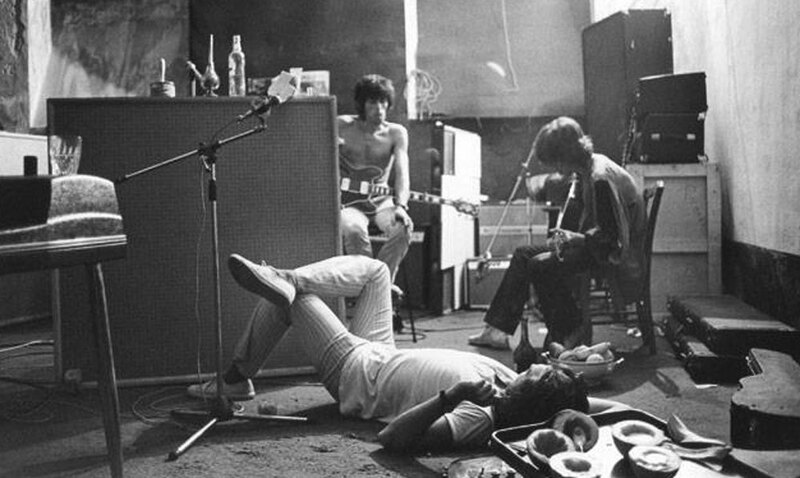 A couple of other venues in the town were hastily found for the recording sessions, which produced, among others, "Smoke On The Water," the lyrics of which refer to the RSM as "the Rolling truck Stones thing." On the face of it, this seems an unlikely album to have emerged from a mobile studio, and in fact it was made at an unlikely location, too. 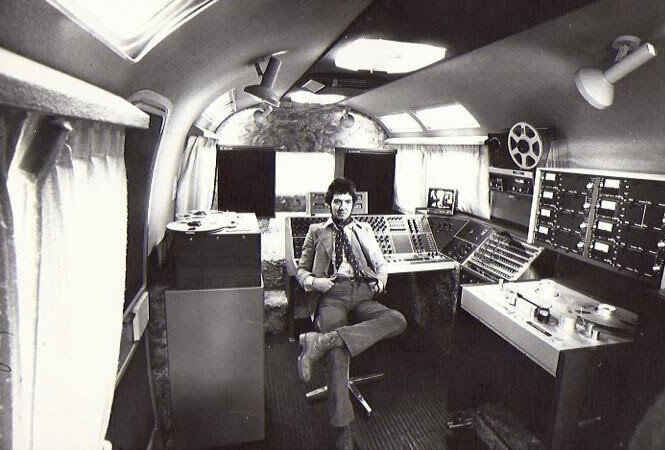 Ronnie Lane's Mobile (known as the LMS) was parked in Battersea, south-west London for much of the recording of Quadrophenia, in an urban jungle outside a still uncompleted Ramport Studios, which The Who were in the process of building. 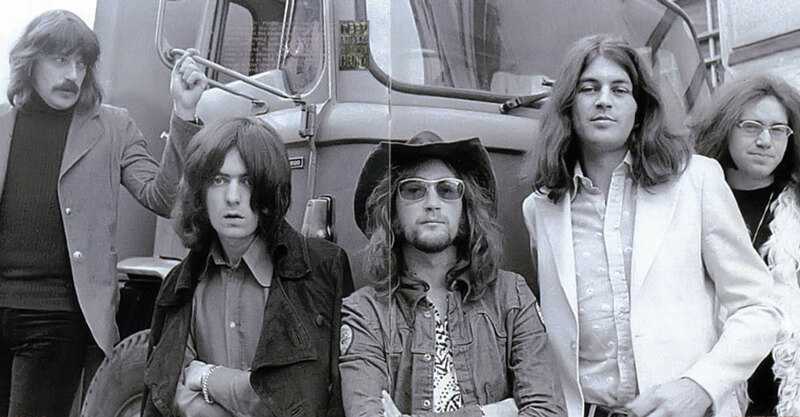 Ronnie Lane, the ex-Faces bass player, had chosen an American Airstream trailer for his mobile studio, and Bad Company, Led Zeppelin (notably on Physical Graffiti), Rick Wakeman, and Eric Clapton were just some of the musicians who would make excellent use of it. Of all the British golden-era mobiles, Lane's was one of the most successful. 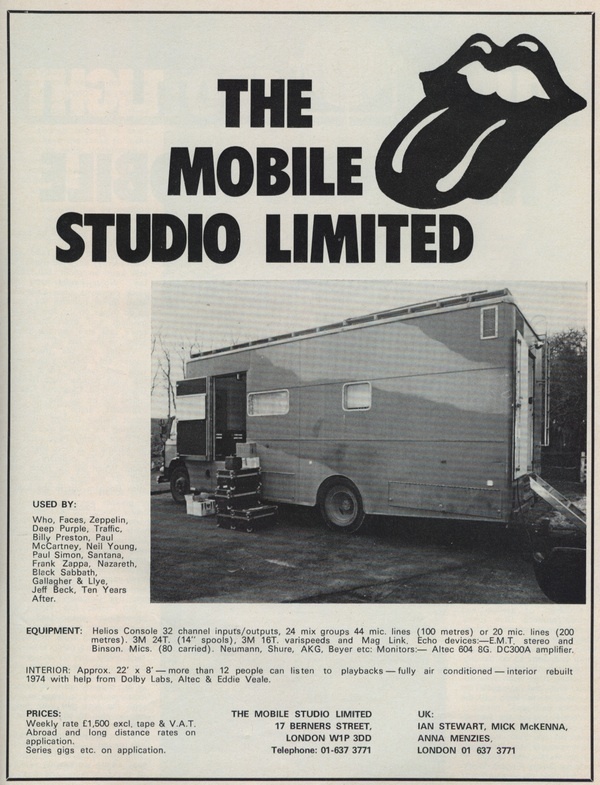 There were many impressive albums recorded using mobile studios between The Who's Live At Leeds in 1970 and Radiohead's OK Computer in 1997, and there were more mobiles than we have space to include here, among them Jethro Tull's Maison Rouge, Virgin's Manor Mobile, and Mickie Most's RAK. By the late '90s, however, the era of the truck was coming to an end—and OK Computer provides fitting mood music. Relatively inexpensive and highly portable digital equipment and computers meant that the need for a large studio on wheels was passing. In fact, OK Computer wasn't recorded using a truck at all, but it epitomizes why mobile trucks had been so popular: location recording enabled a band to work at their own pace, in their own way, in an environment completely unlike an essentially sterile fixed-site studio. 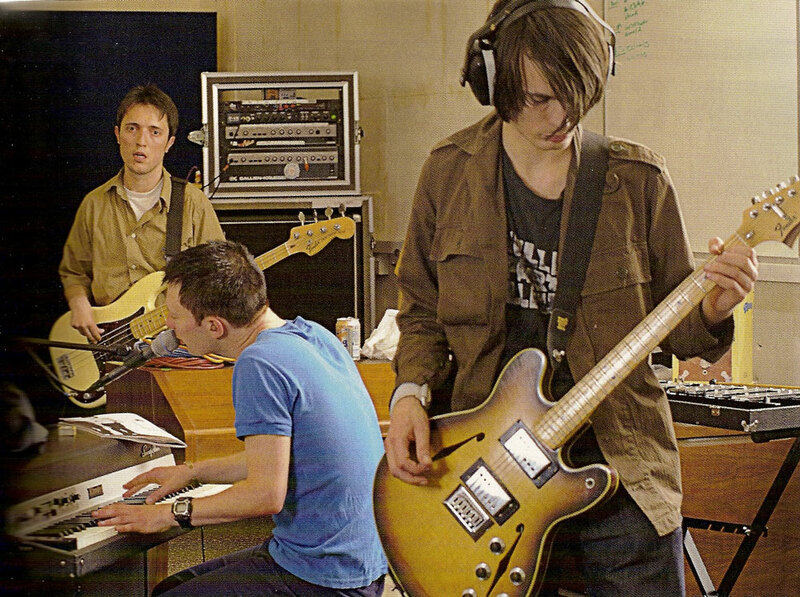 For this album, which Rolling Stone described as "the last masterpiece of the alt-rock movement," Radiohead were given a reputed £100,000 by their record company. Their producer Nigel Goodrich used it to buy recording equipment for use in St Catherine's Court, a spectacular manor house near Bath in Somerset, owned at the time by actress Jane Seymour. In the same way that the natural acoustics of Headley Grange helped Led Zeppelin achieve astonishing looseness, vitality, and depth, so St Catherine's Court added its brooding presence to a haunted, dark, and troubled album. One thing binds together the albums featured here: none of them could have been made in a traditional fixed-location recording studio. In the case of recordings of gigs, it's obvious why that should be. But a common quality shared by the albums featured here is the live ambience of an environment that wasn't carefully designed to sound neutral. In the age of Pro Tools sameness, that is definitely something to be cherished. There is another angle, too. Musicians often complain that "clocking in" to record every day is too much like going to work, especially in a traditional city-center studio. In a residential location, they can not only experiment with different sounds but also socialize and make music in a freer and more creative way. You may not be able to quantify that. But if you listen hard you might be able to hear it. About the Author: Gary Cooper is a journalist working in the musical instrument and pro audio fields. He edits Music Instrument News (the U.K. MI industry trade magazine) and Acoustic Review. Gary also contributes to a number of other music magazines and websites. He lives in Sussex, England.